NEW YORK (CNNMoney) - The Securities and Exchange Commission is preparing to take enforcement action against SeaWorld, the company said in a public filing. 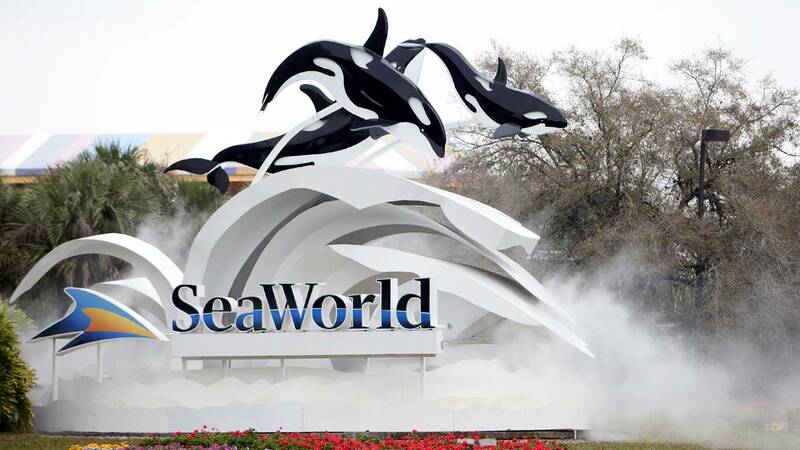 SeaWorld Entertainment said it received notice from the SEC on April 6 of the impending "civil enforcement action or administrative proceeding," the company said in an SEC filing late Thursday. The action could take the form of a financial penalty, a cease-and-desist order, or some other proceeding. SeaWorld and the SEC declined to comment to CNNMoney. The announcement triggered a 3 percent drop in stock price in after-hours trading, but the share price was recovering on Friday. Federal enforcement agencies have been circling SeaWorld since last year. The company announced on June 23, 2017, that it was the subject of two separate probes, one from the SEC and one from the Justice Department. In its public filing last year, SeaWorld said that it was subpoenaed by the Justice Department and the SEC "concerning disclosures and public statements" made by the company and "certain executives" around August 2014 regarding the impact of "Blackfish," a 2013 documentary by CNN. SeaWorld has struggled with steep declines in sales and attendance at its theme parks since the debut of "Blackfish," which alleges that the company mistreated orcas, including one that killed people. SeaWorld has disputed the findings of the movie as false and "emotionally manipulative." But the company also stopped breeding killer whales in captivity and said it will phase out its killer whale shows. It announced in 2016 it would open a park in Abu Dhabi, its first outside the U.S., that didn't have any killer whales. The company said it lost about $200 million in fiscal year 2017, and attendance was down to 20.8 million guests, compared to 22 million the year before. The company laid off hundreds of workers. The CEO, Joel Manby, resigned in February, and was replaced by interim CEO John Reilly. There are about a dozen SeaWorld theme parks in the United States, including in San Diego, Orlando, Florida, and San Antonio, Texas.